March 5th....Oldest daughters birthday... grandson in his high school play... granddaughters,B'day party... ie...no time for wirting. Some days are like that. I finished rereading The Darkest Knight by my friend Gayle Callen. It was her first release. I am so impressed by her writing, her knowledge of early England and her storytelling. So, what to read next. I have a library full of wonderful books...it shouldn't be hard to find one. How about you? Have you written up a book list..the books you want to read 'someday'? Let me help. I wonder if you have a list of BOOK BY LOCAL AUTHORS. If you don't, let me introduce you. Gayle Callen : (from the Syracuse area) - She has 24 books, all about Knights or Dukes or men in Kilts...my recommendation...all or any of them will take you on a historical journey. Her most recent release The Groom Wore Plaid (March 2016) is nothing less than superb (at Barnes and Nobel). 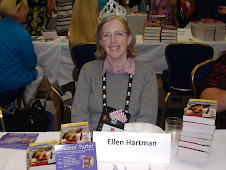 If you prefer midieval she has written six books under the name Julia Latham. 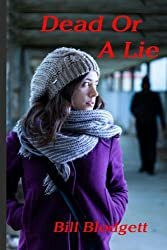 And then her third alter ego, Emma Cane, writes contemporary romance in the picturesque fictional setting of Valentine Valley. 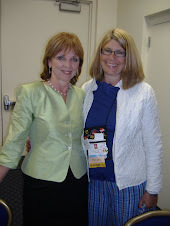 If you would like to learn more about this exciting author visit her Gayle Callen website. So the article offers suggestions...take a walk,schedule writing time and stick to it...maybe write for a local newspaper or an article for a magazine(maybe a blog) . Find a new or comfortable writing nook. 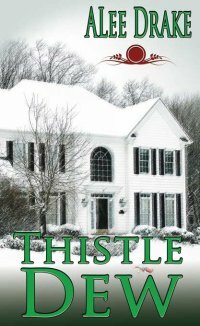 I have a comfy chair that I'm writing in right now, Thistle Dew was written in my bed, Men in Ts on the sofa in the TV room...both locations explain why the books took two years. 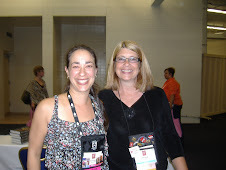 Hang out with other writers...This one is my favorite. 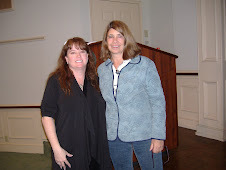 I attend weekly critique meetings, monthly writers meetings and host writers retreats a few times a year. The creative energy is amazing and I am most productive in the 24 hours following a meeting. So here I sit, waiting for my characters to speak to me, writing to you. Thanks for listening...I mean reading. Do you have any suggestions for me....to get back to writing the book? It's not easy...actually it's harder than experiencing childbirth, terrible twos and teenagers all put together. But we do it. It's a challenge to say the least to expect two people who have been raised in two different families, sometimes including different religions, values, traditions, customs...and a whole list of differences to live together in harmony forever. Okay, maybe not every minute is in harmony...that is unrealistic, but forever is doable. Be Friends First. The person you marry should be your best friend. This is the person who brings out the best in you and you do the same for him/her. This is the person who makes you laugh...a lot. The person who knows when you need a hug. The person who knows when to offer advice, suggestions, criticisms ..or not. This is the person you look forward to spending time with...hours, days...years. We connect with our souls...ie soulmate. Your soul is inside...it's your essence. Your soul embodies love. When your soul meets it's mate it is not hindered by any physical boundaries. Your soul only recognizes its mate by a love connection. Therefore, your soul knows no bias... it is not subject to race, religion, gender or any other 'rules' mankind has determined. Compromise works wonders. It is not always easy...but it is necessary. As are the words "I'm sorry." It's amazing how those two words can heal. And finally....if a marriage is broken....fix it. In a disposable world people think the can just toss away a marriage and get a new one....it works for appliances maybe, but should not be applied to marriages. If a marriage needs repair...work together to repair it. Remember why you married in the first place. Use a photo album to recall happier times, visit places where you shared happy times, go on long walks together holding hands. Dance a lovely slow dance. The death of a marriage hurts more than two people. 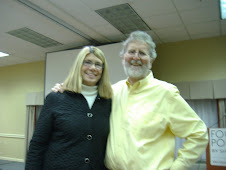 After 43 years, my DH and I are still together....I'm happy writing, he's happy fishing. Guess what? I can bring a pencil and spiral notebook on a boat. It works. My Mom and Dad celebrated 65 years together. Dad loves driving his Model T Ford....Mom loves sitting next to him. The hold hands while watching TV. They kiss each morning and when they say goodnight. They laugh together. They are each others best friend. I'm working on a new writing/business schedule. I haven't been very dedicated to this blog...I'm hoping tho fix that. Today my thoughts are on blind dates. 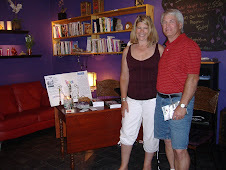 My husband and I met on a blind date. Of course I've been out of circulation since then But I don't hear of blind dates anymore. Is this because computer dating has taken its place? Personally I don't think computer dating is better. Here is my thinking. Way back when...when computers were new and not even in the schools yet...(1967 or so) our school had a computer generated matchmaking dance. We included some other high schools to attend since we needed a larger number of participants for the computer to match. We each filled out a scantron questionnaire and waited. Dance night, we were introduced to our match. My date was a nice guy, too shy to talk and had that perpetual red blush the whole night. We really had very little in common because he admitted to not actually answering the questions truthfully. That's a chance you take with computer matches. Now, a blind date is similar except that your matching comes from your Aunt Tilly or your best friend....someone who knows you and loves you and wants to see you happy. Such was my blind date experience. My best friend had an awesome boyfriend from a neighboring town. Well, let me go back one step further. One Saturday afternoon, Diane, Ginny and I went bowling. There were three boys laughing at us because, well truth be told, we were awful bowlers as a matter of fact, I think Diane released the ball behind her and might have hit one of the boys in the foot. (my version) After that afternoon, Ginny and Ed exchanged phone numbers and before too long Ginny and Ed, started dating. So they set up a blind date for Diane and I to meet two of Ed's friends. We six had a fun evening and although my date and I didn't 'hit it off' Diane and Jeff did. So months later..after graduation, Diane and Jeff set up a blind date wit me, her friend and Walt, Eds friend. Well actually ( this is my husbands favorite part of the story) Jeff went into a local bar where he and his friends drank and played darts, and approached Walt and Gene. "Who wants a bling date with my girlfriends best friend?" Neither one volunteered so they tossed a coin and the loser had to go on the date with me. My childhood was filled with love...parents, grandparents, brothers, and extended family member all showered me with love. I have a few friends that I truly love, although not to lessen the feeling I have for my family, I would spell it 'luv'. I know I am extremely fortunate to have met my 'soul mate', my true love in my late teens, and we married and raised our five children together and now share five in-law children and so far six grandchildren. Love is amazing in its capacity to grow. We are not born with a certain amount of love and then have to divide that amount of love on the people in our lives. It just keeps flowing....That love, that married love, that feeling of wholeness you get when you are with your soulmate... is quite remarkable. I've come to learn a few things about love recently. One thing I've realized, is about the concept of soulmate. The part of us that connects to and is attracted to another person is not the physical self but the soul. We usually say it's our heart that falls in love, but it is our essence that draws us to another essence. Our souls connect. And our souls are not defined by physical characteristics. Our souls are not limited by size or shape, by color or gender. Love in itself is a gift of the soul. Today I would like to introduce you to my critique partner and friend, Bill Blodgett. Alee - Hi Bill. Welcome to my blog. You are my first guest author. Your third book is titled Unrequited. Tell us what it is about. Bill - Unrequited is a story of everlasting love, heartbreak, addiction and the courage of the human spirit to fight back against all odds. Travel back in time to this peaceful New England community during the simpler days of the post WWII era of 1955, and join Joe on a reminiscent walk down Main Street America to the Five and Dime where he’ll ask Kathy out for the first time. Visit the Connelly’s home as Kathy and her family gather around their potbellied stove and trade stories of family values and of Chester, the fabled family protector. It’s the picture-perfect family Joe’s always wanted and when he calls on Kathy, he’s welcomed with open arms. When he proposes and she says yes, their future promises them an idyllic lifetime together, but fate breaks that promise and Joe’s plans are turned upside down. Suddenly the peaceful 1950’s become his prison and the keys to his prison are hidden away in the true meaning of life as told to him by Riggs, an elderly black man with roots in slavery. Riggs shares his three truths with Joe as they’ve been handed down for generations, but there’s more to Riggs and his three truths than meets the eye. Alee - I LOVE the cover. So this is a historical romance? Bill - Unrequited is a historical mainstream story with romantic elements. Alee - And you have two other published books? Bill - Yes. Dead or a Lie and its prequil Saints Sword. Bill - A sun allergy predisposes Lee Teadora to a solitary existence as the night security director of New York Medical. Endless nights watching uneventful images on her security monitors make her desperate for excitement. One night, while visiting her father’s grave, a group of bloodthirsty vampires attack her. Despite her martial arts training she is outmatched. She should be dead… or undead, but she survives. Lee isn’t alone in her battle. A shadowy figure watches from afar… protecting her. Alee- and the prequil? Saints Sword. 1332 Eastern Europe: The worlds of God, Goddess and Satan collide in this epic tale of love, revenge and forgiveness. Two years ago Nicolai’s life as he knew it ceased to exist. On that one horrific day his wife was murdered and his daughter abducted and he’s been on the hunt ever since. But the baggage he carries is heavy— guilt. Guilt of not being there when he was needed most. Guilt of believing he wasn’t the husband and father he should have been haunts his every waking moment but above all else he’s determined to rescue his daughter from the ruthless clutches of the vampire known as Lord Valnar and destroy him to avenge his wife’s death. Kaira is also on the hunt. Barmaid by necessity and hunter by choice she too has been injured by these blood thirsty beasts. Kaira and her companion, Gustav, have been destroying Valnar’s legion of undead for years, but at a high cost—her heart. She’s already seen to many of her comrades fall prey to Valnar’s men and she’s vowed not to let her heart get in her way again. Gustav, the Preacher, has a much different goal. For him it’s neither revenge nor lost love. His only goal and pleasure in life is to hear the faint utterance of the word “free” as a soul is released when a vampire is destroyed. Together, Nicolai, Kaira and Gustav join forces toward one common goal—destroying Valnar. After rescuing the witch, Jessica, she joins the group but finds herself at odds with Gustav and his Christian beliefs. Nevertheless they band together to destroy Valnar, but all hell breaks loose when Nicolai hears whispers on the wind warning him of betrayal and he begins to doubt everything and everyone around him. Even though he is surrounded by his friends and lover he feels alone. 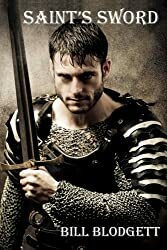 Will he be betrayed by his lover, the preacher, the witch, the mercenary or his own heart? Alee - I've read all three of your books and really enjoyed them. Tell us a little about yourself. Bill - I still live in the community where I met and married my lovely wife, Janice. Actually, she lived around the corner from me and we both ignored each other until our teen years when the hormone thing kicked in and we suddenly realized that the cute little girl skipping rope and that goofy boy riding a bike had both grown up. We are the proud parents of April and Lindsay; both of whom are now married. April married Darren and they have two beautiful boys, Brian and Owen. Lindsay married Tim and they have a beautiful little girl, Kailyn. I enjoy hiking, kayaking, camping, golfing, making candles, and restoring my antique British sports car, a 1972 MGB. They say to write from what you know, so I do. I write of love, life and relationships. Alee - Thank you, Bill. I look forward to your next book. My current WIP is titled His Birthday Suit... and although the title might imply a saucy story... I probably won't write it that way. I like writing sweet romance... with a hint of spice... but nothing too saucy.... I figured that you, my audience, already knows what happens when the bedroom door closes. My heroine is Keely, a strong young woman with an abusive past. She has a seven year old son and lives in an apartment over a men's clothing store, where she works part time in exchange for rent. The hero, Zayn, comes from a well-to-do family, a snobby but loving mother and a obnoxious , controlling father. Zayn is not happy working in the corporate world as is dictated by his father and escapes as often as he can to his log cabin in the Adirondacks where he is minutes away from his favorite ski resort. After Zayn's significant other runs off to Europe, Zayn's mother begins planning a festive 30th birthday. It will be a gala affair and she plans on inviting every single, single female she knows. She has her hopes set on becoming a grandmother within the next five years and of course, wants Zayn to find happiness. Well, of course, Zayn is not going to be attracted to any wealthy daughters of her parents, friends... he likes the girl who measured him for his birthday suit. I haven't plotted everything out... don't really know how this is going to work... but this in the direction I'm heading. I always could use some plot ideas, twists and turns and of course, conflicts. If you've got any ideas share them.... unless you are planning your own book of course. (this is called brainstorming) . My first published romance, Thistle Dew, was inspired by the daily subtle signs my Bestemor(grandma) sends to me to reassure me that she is still present in my life. The comfort her spiritual presence offers me encouraged me to share with others the idea to become aware of little occurances that may very well be signs that because someone that loves you has passed on, they are still with you, protecting you, guiding you, loving you. A road trip in a Model T leads to love. My first book! Sweet contemporary with fantasy elements.